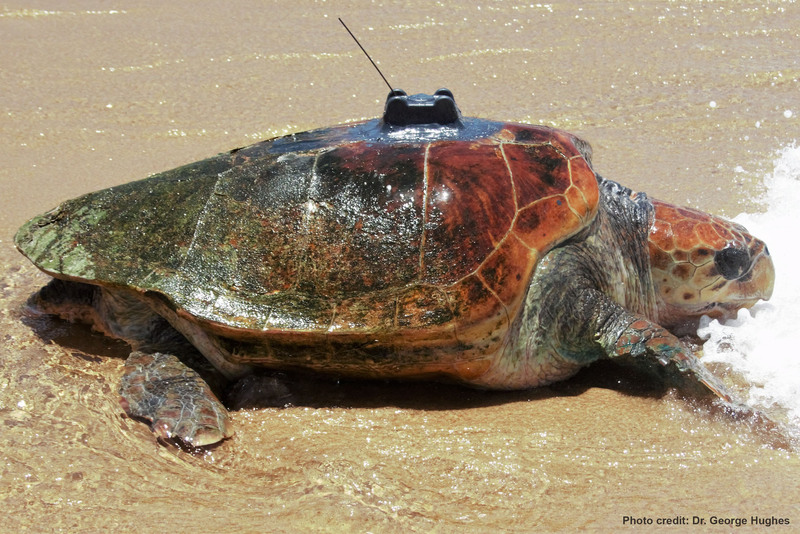 In the past 7 days Herbie has traveled approximately 32 nautical miles (59 kilometers). 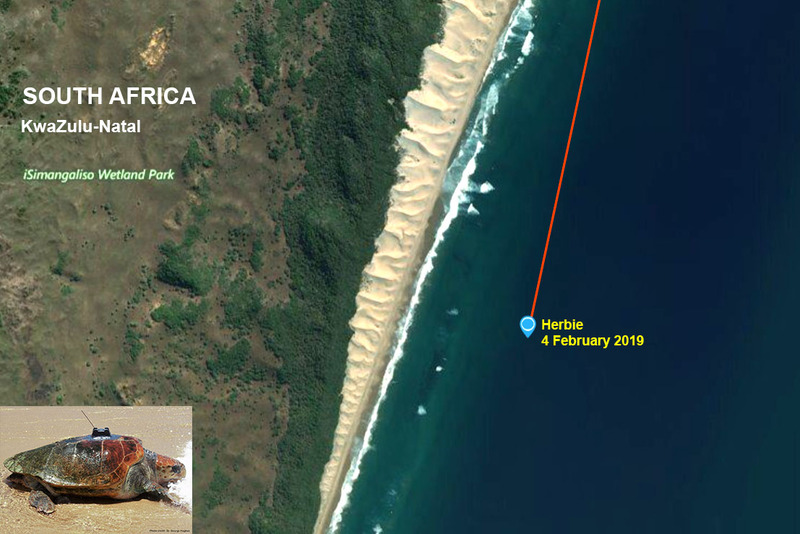 She is traveling south, and is approximately 20 km south of Sodwana Bay, still enjoying the safety of the iSimangaliso Wetland Park. From her initial release to now, she has inhabited numerous inshore reefs and sandy coast habitats. This correlates well with potential loggerhead prey items – whelks, crabs, echinoderms and tunicates.